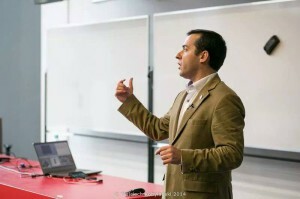 The era of digital marketing has repackaged us into personal branders: we are nowadays at the centre of new ways to perceive each other, new ways to understand each other and this creates pressure on each individual to communicate according to certain codes, especially when we have an expected level of efficiency. The idea of communicating about oneself as a brand might seem like the ultimate blow of an already tiny barrier protecting our core human features from melting into pure consumerism. What if, on the contrary, communicating about ourselves like a brand – thus using the tricks big brands use to remain present in our lives and persuade us to purchase their products and services – was a manner to free our true selves and help us reach inner authenticity? I asked Nelson Emilio (ACG, ALS; member of Leaders Toastmasters Club and personal branding specialist) to take the challenge of changing our possible misperception about personal branding over an entire week with a interview blog post, a hangout, a podcast, a video… you name it (precise list at the end of the post)! 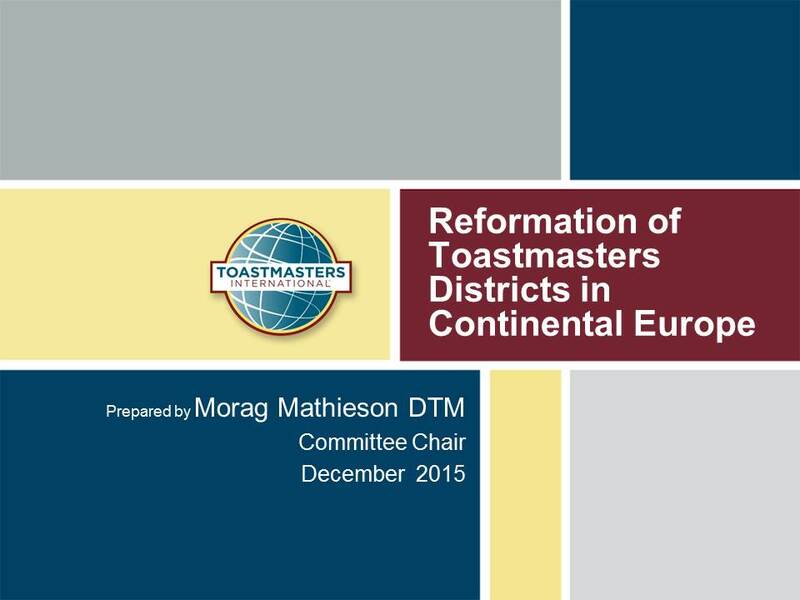 We hope you will take advantage of this opportunity to think about what and how you could improve your communication about what makes you UNIQUE! 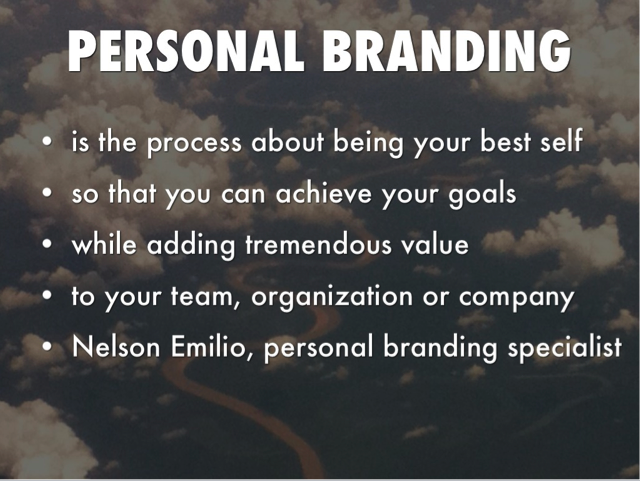 1) What is a personal brand? 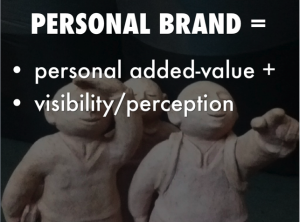 Under “personal brand” one understands the way others perceive you – which is different from what you say you are – and the personal added value you represent in their eyes. This “personal added value” comprises your knowledge and skills, what you do every day and everything that makes you unique and different from any other person in the world, in brief: your uniqueness. We all have a personal brand whether we think it, like it, do something about it (or not!). A personal brand is about authenticity, being genuine and not about creating an image for others: it’s all about being yourself. It is therefore very important to learn how to carefully define and communicate your desired personal brand through Personal Branding so that you take control of it and make it work for you. 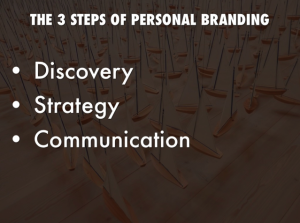 Personal Branding is a structured process to help you uncover your individuality and unique personal added value to differentiate you from your peers and competitors, by communicating it in a consistent and clear message through the appropriate channels. 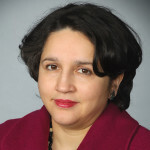 This process will assist you in clarifying and strengthening your personal brand which can enhance your recognition as expert in your field, establish reputation and credibility, help you advance in your career/business, or even build self-confidence. It’s about consistently being your best self so you can achieve your goals while adding tremendous value to your team, organization and company. 3) Everybody can agree with you on such a definition. 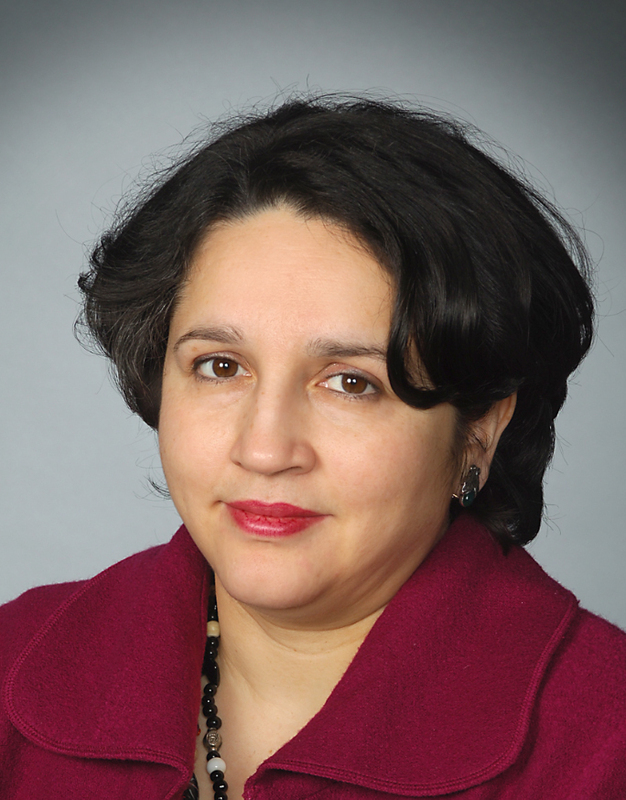 How does Personal Branding work? 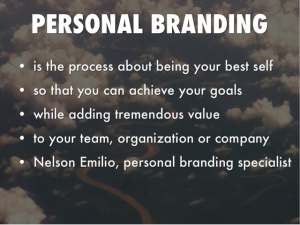 Are some specific steps to follow to start a personal branding plan? Yes, indeed. 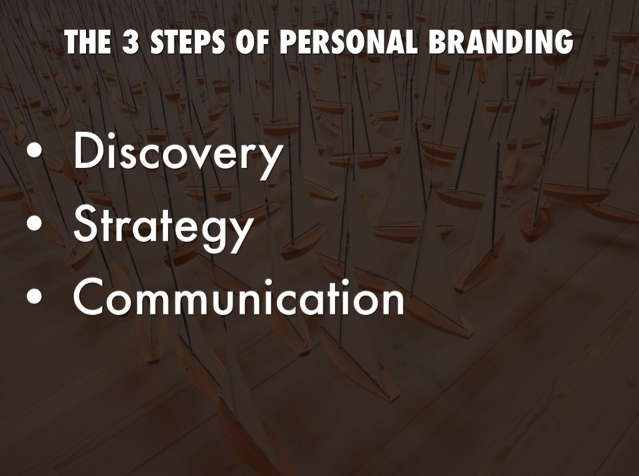 Personal Branding has three major phases which are Discovery, Strategy and Communication. Discovery: The journey of a Personal Branding process begins with a series of exercises to help determine your values, strengths, your motivation and other dimensions that will allow to uncover your real YOU. Understanding who you are and what makes you this person, is the most important part of personal branding, it is the foundation on which everything else is built. In this phase it is also critical to find out what are people saying about you, and discover the positive attributes that attract people to you and the negative ones that caused frustration in others. You can start by writing down 10 adjectives that you would use to describe yourself. Then ask those around you to do the same thing. Look at the similarities to understand what the aspects of your brand are. Additionally you can use an online tool like the 360º Reach which you can find at www.360reach.me (there is a free version) to gather this anonymous feedback in a more structured way. Strategy: Secondly define your goals, what tools are you going to use, what skills do you need to acquire, how you want to be perceived and what you want to be. It’s not about being someone else or to create a different “you”, it’s about who you want to be in 3 years, what you will be doing at that time, all based on authenticity. Communication: And at last you need to make sure you are effectively able to communicate your brand clearly and concisely in both online and offline channels. It’s hard to become known for something in your organization or outside it if you’re not known. So it is critical to build your network strategically and to be visible to your target audience by helping them see the best of who you are and what you do through your communications, behaviours and actions, never forgetting to be consistent in whatever you do. 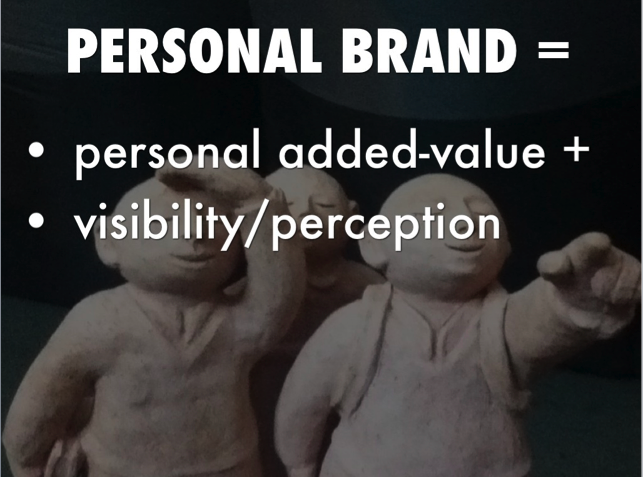 Personal Branding is far from being a simple process. Each step mentioned above contains several milestones and requires knowledge in different areas of expertise according to the objectives you want to achieve. It is also a continuous process that takes time and needs to be monitored in order to evaluate the results. 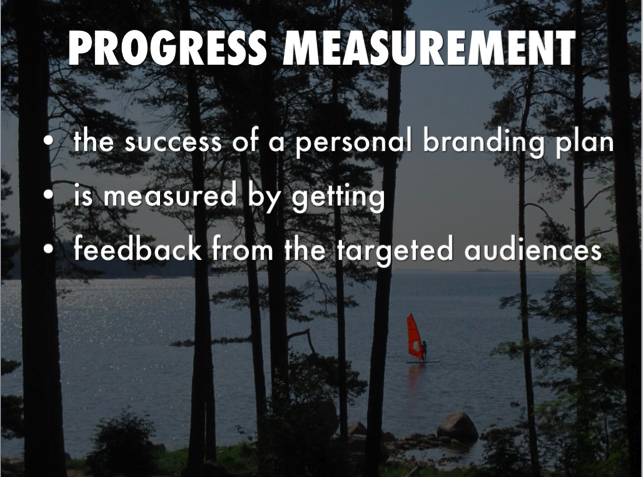 4) How can one measure progress in terms of personal branding? You can start measuring the progress and success of your personal brand by getting feedback from your target audience and those around you. I usually recommend to anyone who went through a formal Personal Branding process to assess annually their personal brand, in order to follow their progress with regards to what was planned. By doing this, you will get anonymous feedback on how everyone perceives you at that point of time, and if the activities you are doing are getting the desired results. Besides feedback, you can measure your progress by looking for things like the growth of your business and your network, by tracking leads or by being recognized for what you aim for. You can also use several online tools like Google Alerts to monitor all mentions to you or any other information you consider relevant for your personal brand. 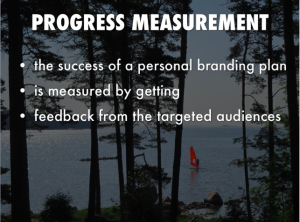 These are some of the key indicators you might take into consideration when you are assessing the progress, but they will vary according to the objectives you establish for your brand during the Strategy phase of your Personal Branding process. Pitch for the webinars: you are thinking of joining LinkedIn or Twitter? You are already present on these networks but you have no idea how to benefit from it? You need a personal branding shake. Good news: we have a series of practical tips for you to get comfy with your personal brand and social networking.